I will never ask you to do something that I have not equipped you to do, says the LORD. NEVER. I will never give you an assignment that you cannot fulfill in Me by My Spirit. I will stretch you to believe in Me. For if you could see everything and do everything and be everything that you see as necessary, you would not use Me. You would not trust in Me, but you would rely on yourself. 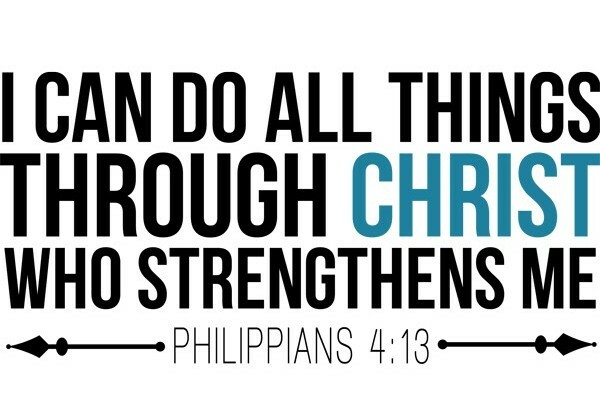 You can do ALL things through Me, as I strengthen you and help you. I Am reliable, and the strength that I give you is in connection with Me so that you will NOT walk alone. You will walk with Me and stay yoked with Me and lean upon Me, and it will become easy for you, says the LORD. You have My armor. You have My weapons. You have My presence and you have My power of My SPIRIT. You have My Sword of My Word and you have Me, says the LORD. You are never inept and never alone, for I have given you all that you need to succeed. There is nothing about Me that can be defeated and I have taken your side against the evil one. You need not fear the enemy, for as you call upon Me, I will answer. I will always be with you and cause you to overcome and triumph in Me, says the LORD. Yes you will Abba, Daddy, you always cause me to trumph in you always. I am a Victor, a success in all I put my hands on. I’m abundantly blessed. wall. The enemy flees from before me. I’m a mighty warrior, a conquer. I will place my trust in the lord only, no mor materlizm, or idolizm, only the lord.